The contest winner will have the chance to see his/her project getting real as we will invest in a new mold to produce the awarded design. For more than 30 years, designers using DuPont™ Surlyn® in perfumery and cosmetics have been offered a great design freedom. The recent launch of two new Surlyn® grades expanded even further the palette of creative possibilities. 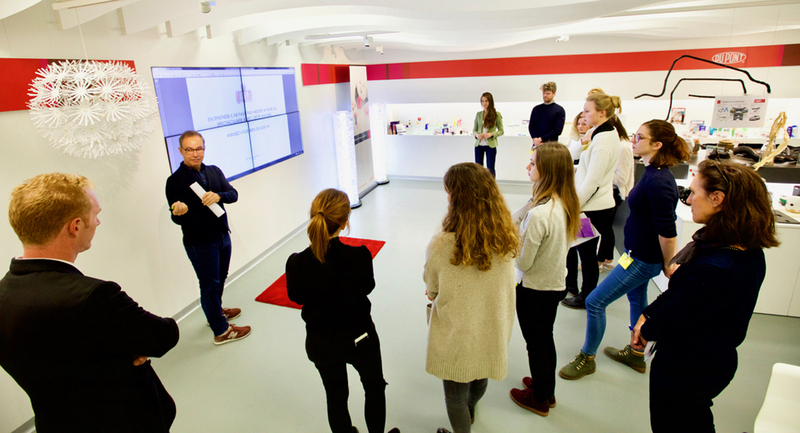 This year, DuPont launches the first edition of the “Be Surlyn® and Design” contest and invites the students of the Art and Design school (Haute École d’Art et de Design or “HEAD”) in Geneva to get inspiration for their creations from the well-known resin. Innovation and personalization will be at the forefront of the first edition of the “Be Surlyn® and Design” contest, organized in partnership with the trend agency Beautystreams. A dozen students in “Bachelor of Arts in product, jewelry and accessory design” at HEAD will take up the challenge to create a new design for a perfume cap made with Surlyn®. Expert representatives from large brands in perfumery-cosmetics will make up the judging panel, headed by the designer Thierry De Baschmakoff. “In perfumery, the bottle and cap play a significant role; it is the object that links the brand’s identity with the inner essence of the fragrance. While the perfume consumes, the container lasts. That’s why brands give a special care to its design quality,” noted the French designer. Aware of the strategic character of perfume packaging, the DuPont technical and marketing team works closely with brands and convertors to help give shape to new designs and their multiple variations in Surlyn®. Such agility is enabled by the innovation in materials, diversity in decoration techniques and effects, and efficiency in developments which characterize the Surlyn® palette. Driven by their creative spirit, students taking on the “Be Surlyn®” challenge will work on their designs in course of November and December, and submit them early next year. They will be able to feed their imagination with one of the key trends unveiled by the Beautystreams agency for the 2018 autumn/winter season. “Behind every packaging design, there is a story. Use Beautystreams’ forecasted trends to inspire your own universe and tell your story aligned with upcoming market trends,” said Michele M. Superchi, Marketing & Sales Manager at Beautystreams. The DuPont technical team will ensure a personalized follow-up of the project, as highlighted by Guillaume Beyrath, Technical Service Representative for cosmetics applications: "Just like we do with large brands, we are willing to support the students and help them ensure the technical feasibility of their designs. Surlyn® is a living material. Any new creation requires a good knowledge of its technical, sensory and aesthetic properties. It’s our role to guide the students and make their projects concrete.” The contest was officially launched by Thierry de Baschmakoff on November 6 at the European Technical Center in Meyrin, in presence of all partners. “It’s a great opportunity for design students to get to know the industrial world and work directly with a company like DuPont,” said François Dumas, designer and HEAD’s associated professor. “We are really excited about this new adventure with students from HEAD. The contest winner will have the chance to see his/her project getting real as we will invest in a new mold to produce the awarded design. We are certain the unique properties of Surlyn® will give students an opportunity to think through the material and surprise us with their designs,” added Maria Carcolé, EMEA Marketing Leader Perfumes & Cosmetics for DuPont. DowDuPont Materials Science, a business division of DowDuPont (NYSE: DWDP), combines science and technology knowledge to develop premier materials science solutions that are essential to human progress. The division has one of the strongest and broadest toolkits in the industry, with robust technology, asset integration, scale and competitive capabilities that enable it to address complex global issues. DowDuPont Materials Science’s market-driven, industry-leading portfolio of advanced materials, industrial intermediates, and plastics businesses deliver a broad range of differentiated technology-based products and solutions for customers in high-growth markets such as packaging, infrastructure, and consumer care. DowDuPont intends to separate the Materials Science division into an independent, publicly traded company. More information can be found at http://www.dow-dupont.com.